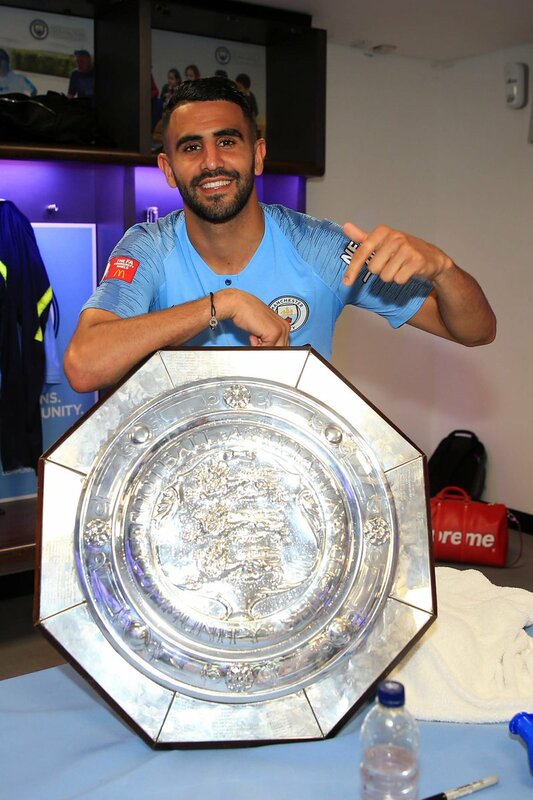 Algeria international Riyad Mahrez has revealed his delight after making his friendly debut for Manchester City during the International Champions Cup clash against Borussia Dortmund. The game was tightly contested between both sides but ultimately, Dortmund ran victors after scoring the only goal of the match via the penalty spot. As things stand, the Mancunian giants have made just a solitary signing during the ongoing transfer window but they could intensify the player pursuit in the coming weeks with Guardiola previously confirming that the club would seek to replace the departed Yaya Toure. Jorginho was highlighted as the prime transfer option for much of the transfer window but the deal can no longer happen after league rivals Chelsea hijacked the deal at the final hurdle. Following the Dortmund game, City are scheduled to take on Liverpool and Bayern Munich in the International Champions Cup before facing off against Chelsea in the Community Shield next month. This entry was posted in Man City News, Uncategorized and tagged Guardiola, Jorginho, Mahrez. Bookmark the permalink.